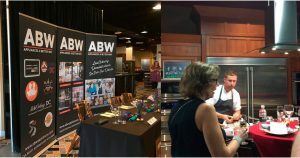 Complete Signs & Graphics specializes in custom printed backdrops and has state-of-the-art large format printers, fade-resistant eco-solvent ink, as well as a wide selection of banner substrates. If you need a stunning and effective backdrop custom-made to speak your business’s message, Complete Signs & Graphics is here for you. 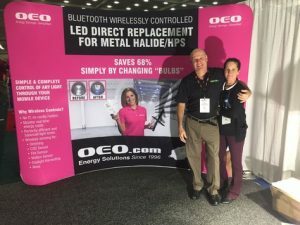 While printed backdrops by Complete Signs & Graphics are a lot quicker to produce than the more traditional hand-painted backdrops, we definitely don’t offer a one-size-fits-all solution. 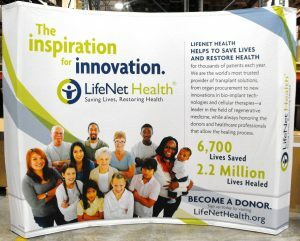 The best thing about our backdrops is that they’re custom-made to fit your unique brand, event, target market, and objectives. If yours is an outdoor event, vinyl would be the ideal material as it is durable and can stand against outdoor elements. Complete Signs & Graphics offers vinyl mesh perfect for windy occasions, or the regular matte vinyl prints. Paired with premium, fade-resistant eco-solvent ink, we’re confident that your outdoor backdrops will look good for a long time. We are committed to making your backdrop banners look crisp and clean for a long time. 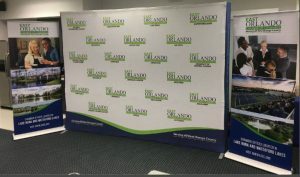 Custom printed backdrops by Complete Signs & Graphics are perfect for events, concerts, and trade shows that involve traveling to different places with different weather conditions. Custom printed backdrops by Complete Signs & Graphics are relatively lighter and easier to handle compared to painted counterparts. When it comes to transporting, they are simply rolled, shipped, and then unrolled—no need for steaming or ironing before setup. Installation is hassle-free as well. Our printed backdrops are equipped with strong hems and can have eyelets/grommets or pole pockets, depending on your preference. 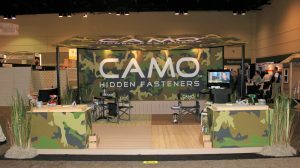 Complete Signs & Graphics has been a trusted signage provider in the area for a long time, and we’re proud to say that we’ve successfully handled printed backdrop projects for numerous clients. We’ve walked with them through the entire sign-making process, and we’re excited to do the same for you. We know how stressful it is to cover all aspects of the project by yourself. This is why we have a strong team of project managers who can guide you through each phase and let you know what to expect. Our graphic artists can also help you figure out which design suits your brand as well as your object. Whether you need a printed backdrop or any other sign type, Complete Signs & Graphics is here for you from start to finish. Complete Signs & Graphics is the provider you’re looking for. Call Complete Signs & Graphics today at (647) 484-3889 for your Free Consultation with a Printed Backdrops Expert!